This special exhibition focuses on the migrations of elk and other charismatic, wide-ranging wildlife in the Greater Yellowstone Ecosystem. 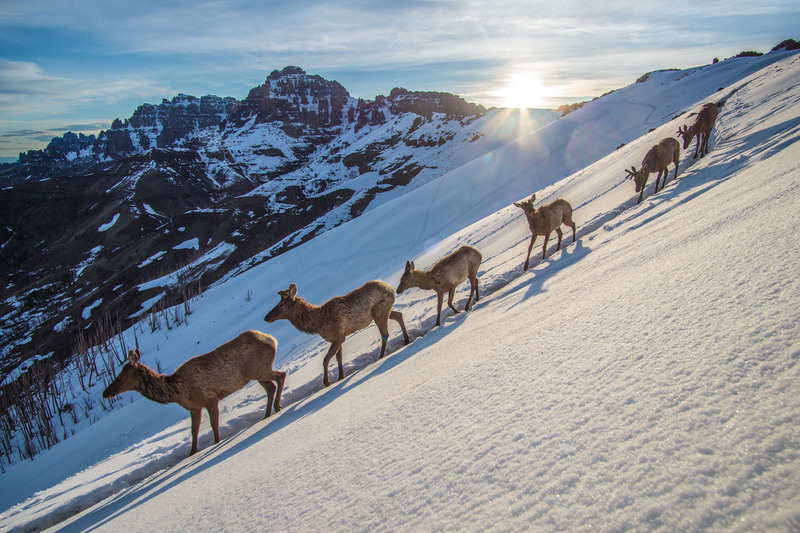 It explores the challenges these animals face as they leave Yellowstone National Park and cross into surrounding multiple-use and private lands in search of winter resources. Their journeys link the ecosystem’s outermost foothills and ranchlands to its deepest, mountain wilderness. Yellowstone: Invisible Boundaries was produced by the Buffalo Bill Center of the West, Cody, Wyoming.